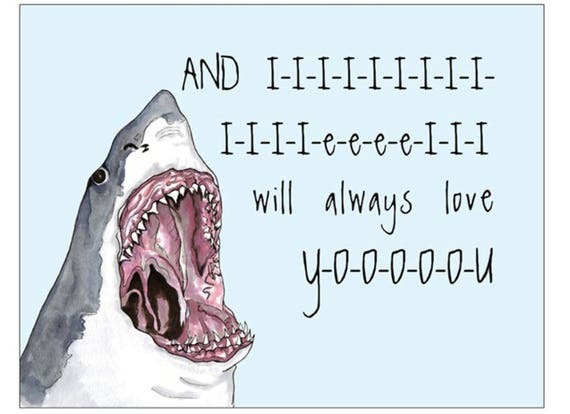 I don't remember Shark Week as a kid, but in recent years it has taken on a life of its own. 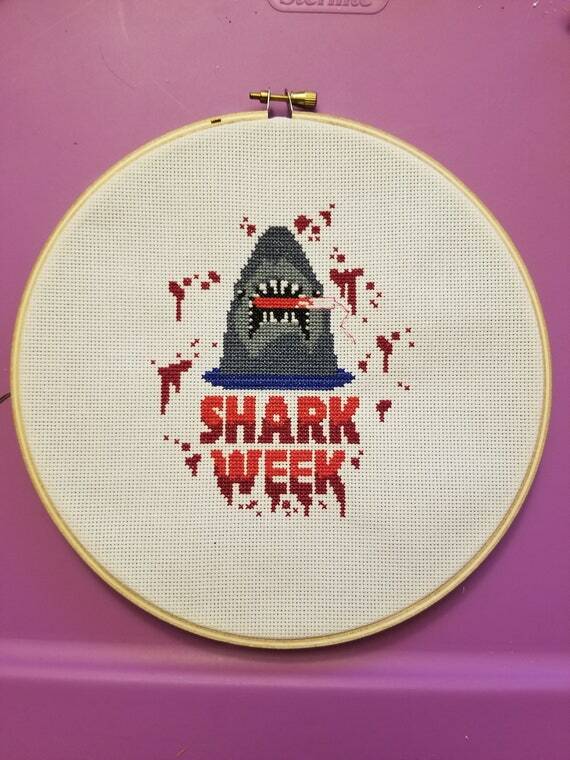 With the meteoric rise in Shark Week's popularity, came a huge increase in the number of shark related crafts making the rounds. 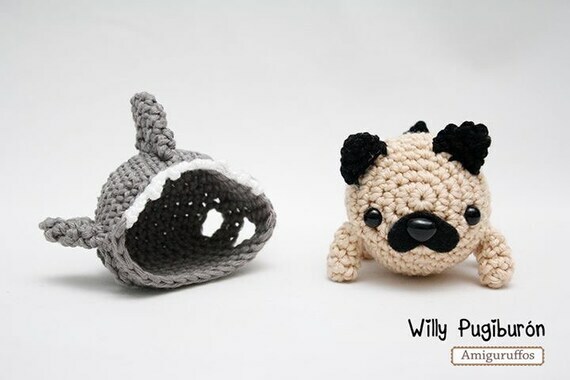 And sure, cute little shark cake toppers and tee shirts are nice, but I wanted to find shark crafts that made me laugh.. and this collection was born. 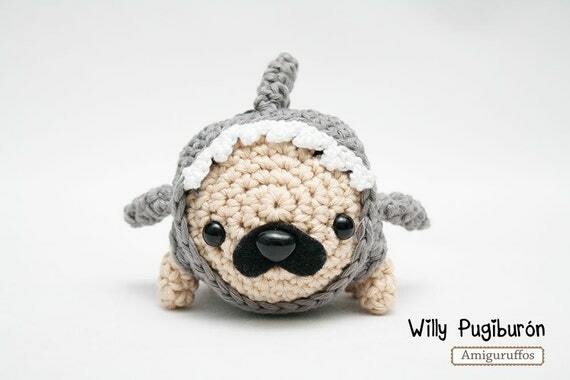 More than 15 hilarious craft ideas, from crochet to cross stitch. 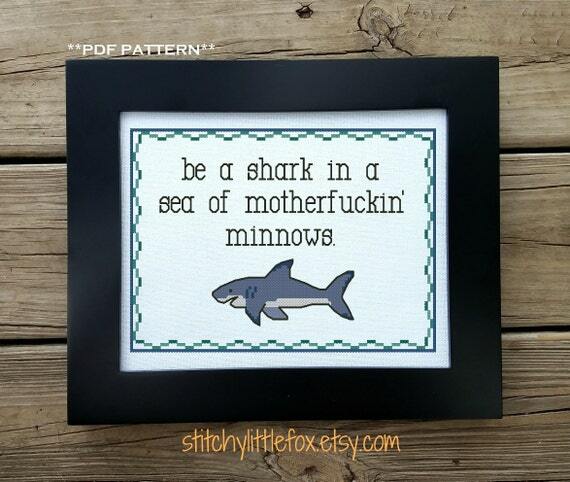 HTV ideas along with pet costumes and even some unmentionables.. 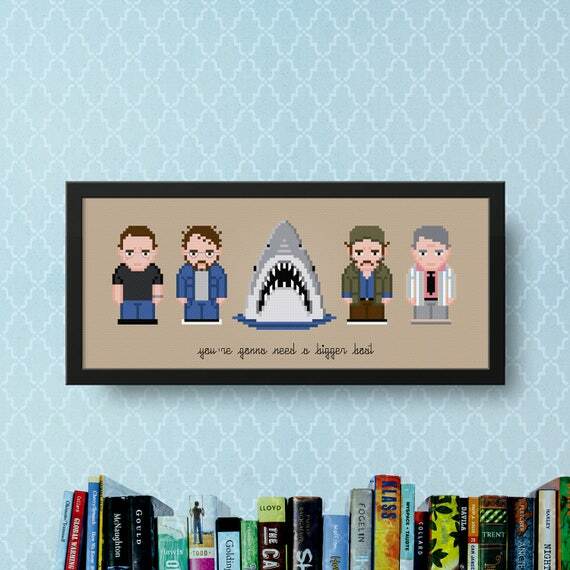 If you love it when your heart races whenever you hear that Jaws music, you are going to love these! 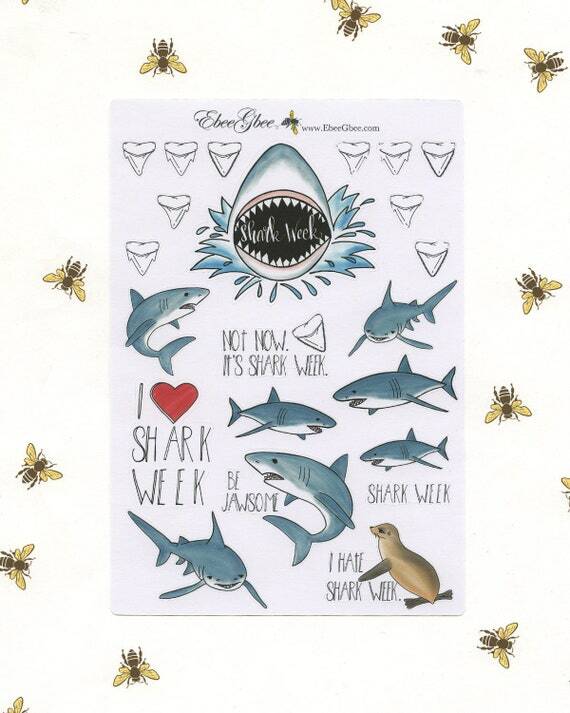 The following may be a little more risqué than your regular Shark Week Crafts..